※ Please note that DVDs are NTSC and Region code is 2. Made for Japanese market and subtitles are not available. 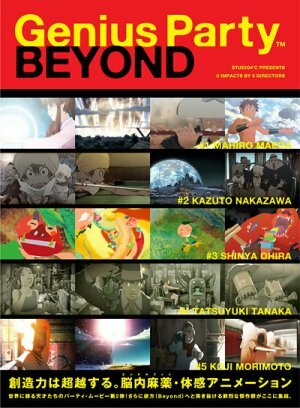 Following the previous project “Genius Party”, the second project “Genius Party Beyond” is presented to the world! Japanese most gifted visual artists have come together at STUDIO4C, which continues to create cutting-edge fine pieces and visual expression that goes beyond the concept of animation. Five vivid masterpieces have gathered here. 4 Discs Box “Genius Party Beyond BOX” which you can insert the previous movie “Genius Party” is also available!